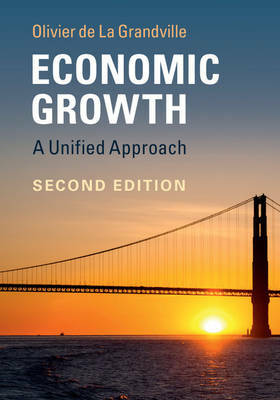 In the second edition of this user-friendly book, Olivier de La Grandville provides a clear and original introduction to the theory of economic growth, its mechanisms and its challenges. The book has been fully updated to incorporate several important new results and proofs since the first edition. In addition to a progressive treatment of dynamic optimization, readers will find intuitive derivations of all central equations of the calculus of variations and of optimal control theory. It offers a new solution to the fundamental question: How much should a nation save and invest? La Grandville shows that the optimal savings rule he suggests not only corresponds to the maximization of future welfare flows for society, but also maximizes the value of society's activity, as well as the total remuneration of labour. The rule offers a fresh alternative to dire current predictions about an ever-increasing capital-output ratio and a decrease of the labour share in national income.